The Chris Beat Cancer Podcast is live! Huzzah! It’s finally here! 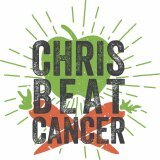 After procrastinating for several years, I finally pulled the trigger and launched the Chris Beat Cancer Podcast. Here's episode #1. Dr. Josh Axe is a doctor of natural medicine, and an expert in herbal medicine, nutrition, digestive health and athletic performance. Josh operates one of the world's largest natural health websites: DrAxe.com and is the author of a brand new book called Eat Dirt. In our interview, Josh tells the amazing story of how he helped his mom heal stage 4 breast cancer with nutrition and natural therapies, and talks about gut health, the importance of "eating dirt", and more.